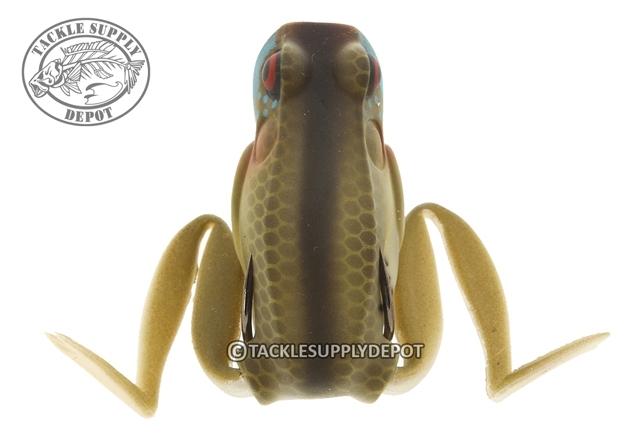 The Lunkerhunt Popping Frog calls fish in by creating a surface disturbance. Its concave face catches water, causing popping and spitting noises. The swimming legs of the Popping Frog create explosive strikes. 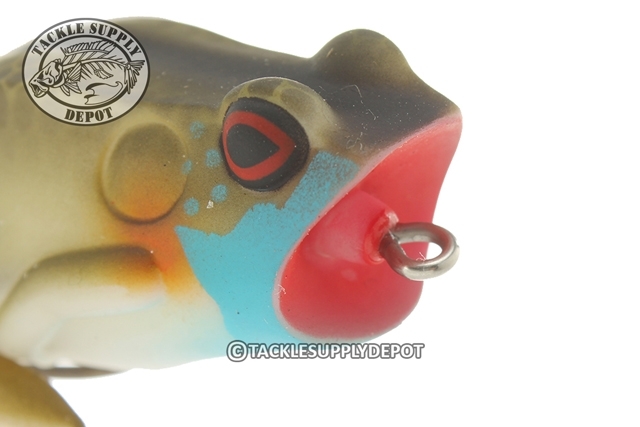 Popping Frogs feature a weedless design and hollow body construction. The Popping Frog's super soft hollow body compresses quickly under the slightest amount of pressure. 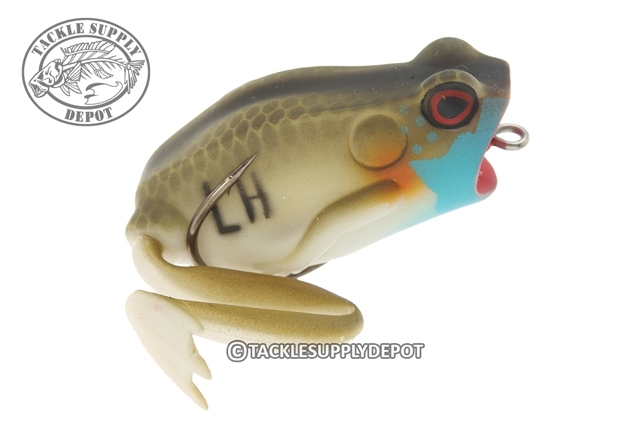 When it does, sharp high quality upturned hooks are ready for the hookset. The Popping Frogs generate tons of action with minimal movement. The Popping Frog can be worked along edges, through grass, in pockets and on open water.